A truly opulent bed base that would be the pride of any boudoir. 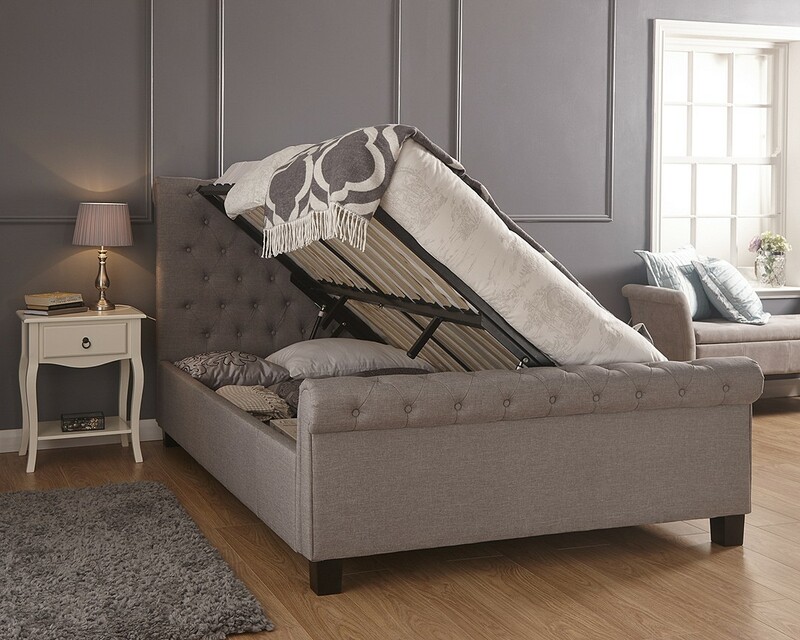 This ottoman-style bed makes a dramatic style statement with a scrolled, deep-buttoned, high-back headboard and matching low-rise footboard. The luxurious padded frame is covered in charcoal grey hopsack which is studded with covered buttons for a first-class finish. The coil spring unit is topped with durable fillings and a sumptuous layer of memory foam. The unique properties of memory foam allow it to respond to your body heat and mould to your individual shape. 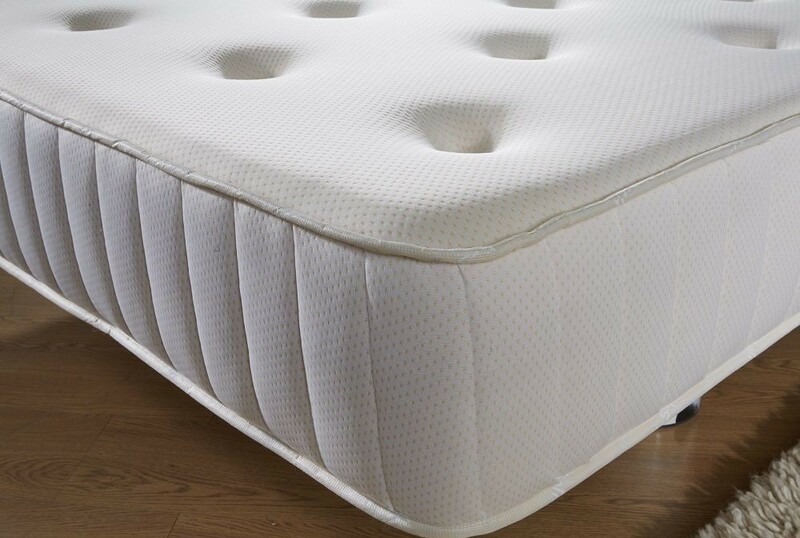 The medium firmness level and density of the foam provides great orthopaedic support and will offer optimum comfort while you sleep. This great value hypoallergenic mattress features a double jersey cover which is also tufted to hold the fillings in place. These mattresses come vacuum packed.